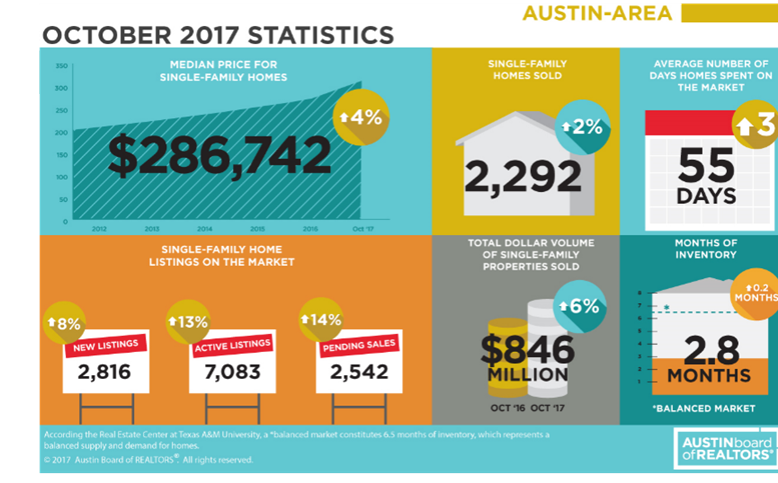 ​​​​​AUSTIN – In a year that’s shaping up to be another record-breaker, Central Texas home sales increased more than 2 percent in October 2017 and the median sales price climbed more than 4 percent. Year to date, sales across the region are up 1.7 percent, putting the region on track for an anticipated seventh straight year of record sales, the Austin Board of Realtors said. ​Check o​ut more housing stories across Texas. Be sure to check out ABOR for more Austin housing information​.